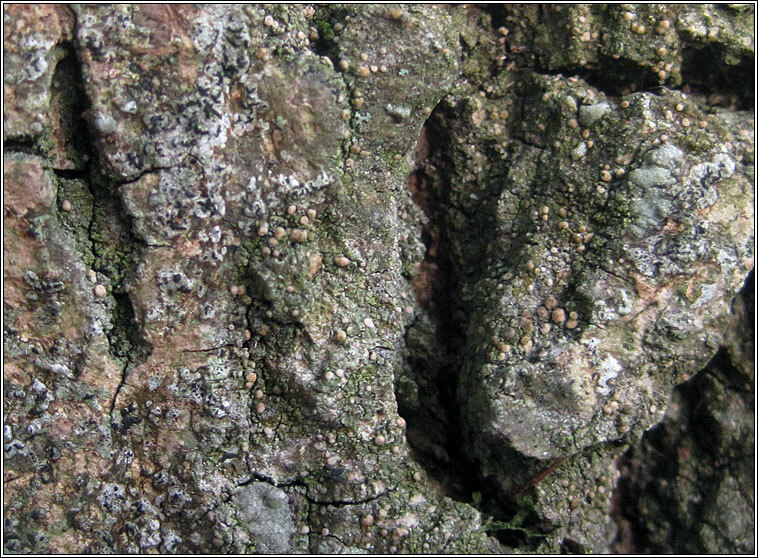 Can be frequent on basic or nutrient-rich bark of shaded, mature trees. Smooth, warted or scurfy, whitish to grey-green thallus. 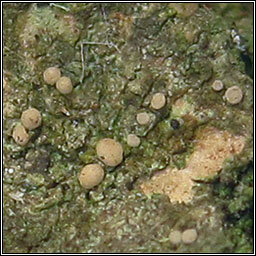 Apothecia flat to convex, discs beige or pink-orange, the margins usually paler. Hypothecium colourless. Spores 3-7 septate, 20-45 x 1.5-2 µm. 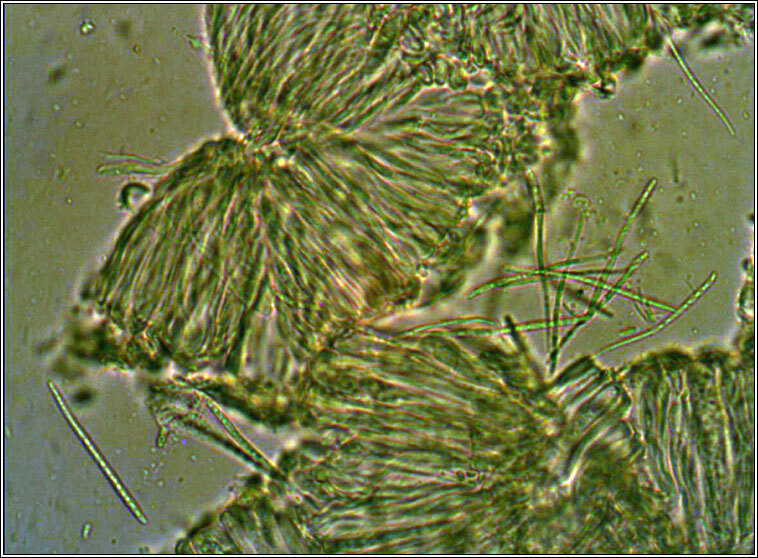 Pycnidia are immersed, conidia 25-50(-60) x 1-1.5 µm, septate. Microscope photograph below. Similar: Bacidia delicata and Bacidia rubella. 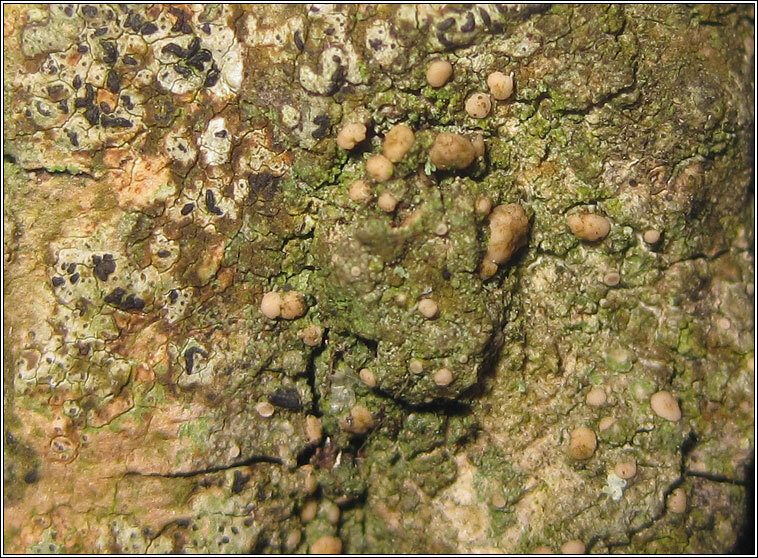 Lecania chlorotiza and L. cyrtellina have 0-1 septate spores.